If you have never visited the Georgian Triangle, believe me, once you do, you will be back! The Georgian Triangle offers something for everyone! From the miles of shoreline to the numerous golf courses, hiking trails, beaches, fishing, and good old fashioned hospitality, you are sure to be wowed! There is always a buzz going around about the next upcoming event whether it is the Elvis Festival in Collingwood to the famous Chili cook-off in Thornbury. Located 1 ½ hours north of Toronto, paradise is closer than you think. So grab your clubs, bathing suit, hiking boots and fishing pole and escape to the Georgian Triangle…..oh yes, and don’t forget the camera! 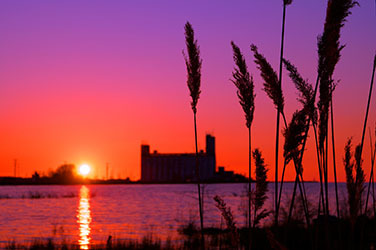 Wasaga Beach boasts the world’s largest freshwater beach. With 14 kilometers of white sand beach … that’s just the beginning! Hailed as the fastest growing community in Ontario and the 4th fastest in Canada in 2001 by Statistics Canada, the secret is out that the beach is not all Wasaga Beach has to offer. With a population of approximately 16,000 and much more on week-ends, Wasaga Beach has seen a big transition from the place to cottage to a place to live. 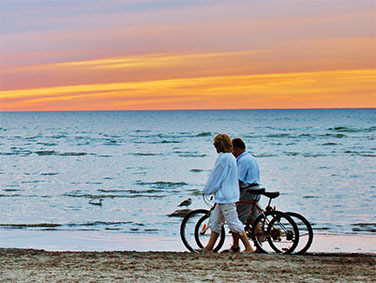 Many retirees and young families are finding their way to Wasaga Beach as they find it both affordable and centrally located. Whether you want to live in a subdivision, on a golf course, or in a condo, Wasaga Beach has something to offer everyone’s tastes. On the shores of beautiful Georgian Bay with the Blue Mountains in the background, you’ll find the four season resort town of Collingwood. Walking along the tree lined streets downtown, among the many historical buildings, listening to the soft outdoor music, you’ll discover old time charm and hospitality at the various shops and services, such as sidewalk cafes, designer clothing and unique boutiques. 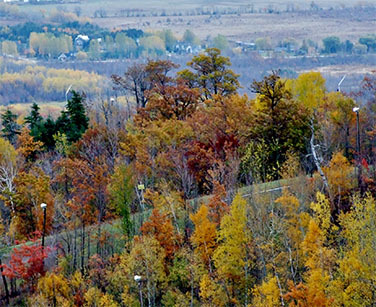 There is a vast trail system around the town for hiking and biking, including The Georgian Trail, the waterfront boardwalks at Sunset Point and Harbourview Park, and the Collingwood Trail System throughout the town. In Winter months, enjoy snowmobiling on the trail system, excellent cross country skiing at Cranberry Resort and first class downhill skiing at Ontario’s largest ski resort, Intrawest/Blue Mountain Resort. Summer brings numerous activities to our area such as fishing, swimming and boating in clean, beautiful Georgian Bay and fabulous board sailing opportunities at Sunset Point. Collingwood is very proud to be the host of many world class events such as the Collingwood Elvis Festival in July, which is sanctioned by Graceland. Enjoy the many Elvis venues and pick your “favourite” Elvis! Enjoy the quiet rural charm of Clearview Township. Located in the Purple Hills, is the quaint, Town of Creemore. Famous for Creemore Springs Lager, be sure to take a tour and sample the lager beer brewed on site. Each September, Creemore’s annual Oktoberfest with an Oktoberfest Beer Garden, German food, parade, German dancers, and live Oktoberfest bands is enjoyed by all. Hike on miles of trails in Devil’s Glen Provincial Park and sections of the famous Bruce Trail in the Pretty River Valley. In the quaint village of Duntroon golf an 18 hole golf course overlooking Georgian Bay at nearby Duntroon Highlands. In the winter, this first class cross country skiing resort offers lessons and hosts racing events. While visiting Clearview make sure to visit the Friendly Town of Stayner where downtown stores range from chocolate made by hand to upscale women’s fashions.